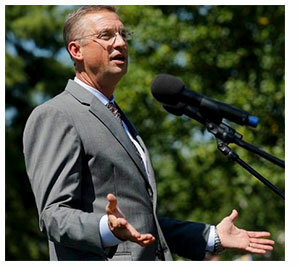 Longtime community pharmacy champion Rep. Doug Collins (R-Ga.) has reintroduced two bipartisan bills that address NCPA priority issues. The Prescription Drug Price Transparency Act (H.R. 1035) would require PBMs to update their maximum allowable cost lists at least every seven days and disclose their sources on information in determining MAC prices. The Phair Pricing Act (H.R. 1034) would require all pharmacy price concessions in Medicare Part D – excluding positive contingent amounts – to be applied at point of sale. The bill also requires all Part D sponsors to utilize CMS-established quality measures that are standardized and pharmacy-specific. The bills were not yet posted at press time. We'll share links when they are available.